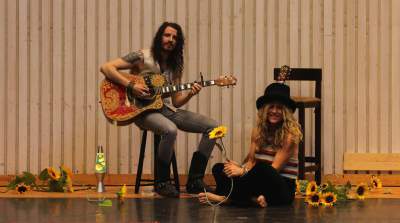 Perfect Blue Sky are the ‘Hippie-delic’ duo of Swedish guitarist Pna Andersson and Australian vocalist Jane Kitto. Combining their artistic visions both live and in their songwriter talents, they have created an album songbook with an act of passion and integrity. Together they take you on a timeless journey that weaves poetry, melody and compassion into a blend of unique 60/70 influenced music. Having performed from down under to the North Pole, Perfect Blue Sky are true musical servants and representative of today’s trending neo-hippie movement.